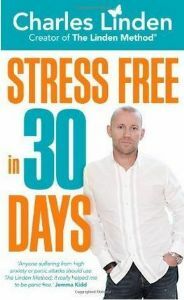 Charles Linden's Stress-Free in 30 Days offers simple, fast and targeted guidance to show readers how to quickly and permanently eliminate stress from their lives, regardless of its cause. As an added bonus the book is accompanied by a CD containing visaulisations for deep relaxation, empowerment, confidence & sleep, to help speed up your recovery. Whether your stress is work or home related, this book will introduce techniques to reduce your symptoms, and provides tips to see you through the challenging times. Charles Linden's Stress-Free in 30 Days programme is presented here in the most simple, structured, accessible and informative form for people of all ages.